Saudi Arabia is going through a major internal political crisis the likes of which has rarely been seen. A missile gets fired on the Saudi capital. A missile, which was allegedly built in Iran and smuggled to Yemen, just to be fired at Saudi Arabia. According to initial reports, two Saudi princes died back to back in 24 hours: one in an “accidental” helicopter crash, the other during a firefight that broke out while security forces were trying to arrest him. On November 7, Saudi Arabia’s information ministry spokesman said that “Prince Abdulaziz is alive and well”. However, the prince could not be independently reached for comment by the media. Other high-ranking members of the establishment and the royal family — the two tend to be one and the same in Saudi Arabia — get arrested on charges of corruption, with their bank accounts frozen. Lebanese Prime Minister Saad Hariri unexpectedly resigns after he was summoned to Riyadh by his Saudi-backers. Meanwhile, Saudi Arabia accused Iran of conducting acts of “direct military aggression” and accused Lebanon of “declaring war” on Riyadh by allowing Hezbollah “aggression” against the kingdom. All this happened in a span of just a few days. With ever-growing security challenges and problems at the regional level, the crisis that took hold of Saudi Arabia does not seem to be slowing down. One contributing factor to the ongoing crisis is a major split in the Saudi royal family: the power struggle that resulted in the former crown prince being deposed and replaced with a new one, a move that shook things up quite a bit inside the country. The echo of this can be seen in the current “anti-corruption” persecution, enforced by the current Crown Prince Mohammad bin Salman. Outside the country, several key foreign policy projects failed: the effectiveness of the Yemen intervention can be judged by the fact that it resulted in a missile being fired at Riyadh. Bashar al-Assad is still in power in Syria. The attempts to scare Qatar into submission backfired, as Qatar has been getting more and more friendly with Russia, Turkey and Iran. Iran is gaining more and more influence in the region, while the Saudis seem to be losing it, hence they are trying to compensate for their losses by participating in proxy wars elsewhere. The Saudis also tried to flex their diplomatic muscle. King Salman even visited Moscow, where the two sides exchanged promises with no guarantees that these will ever be fulfilled. This also backfired, as some considered it a demonstration of weakness or an attempt to make peace by making concessions. Add economic struggles to this series of failures, and one can see why the King’s and his Crown Prince’s position seem less and less stable by the minute. The situation apparently seemed so dire, that in order to keep everything afloat active persecution seemed the only possible way to keep the King and his successor in power. The “anti-corruption” campaign is just an excuse: the corruption has always been high in Saudi Arabia, and no one batted an eye before now. Persecution can hardly solve foreign and internal matters, and it will not lead to a solution of the problems. Right now, the kingdom’s leadership is desperately in need of an enemy to unite the population and draw their attention away from the chaotic events that unfolding in the country. A warlike rhetoric against Iran, Lebanon and Hezbollah are a clear sign of this. While Iran is a potent regional power in military and diplomatic terms, Hezbollah is a non-state actor. So, Riyadh may choose the group as an enemy for its risky foreign policy undertaking. Saudi Arabia and Israel are obvious allies in their will to destroy Hezbollah. On November 5, Tel Aviv started the largest-ever aerial exercise in the history of Israel. 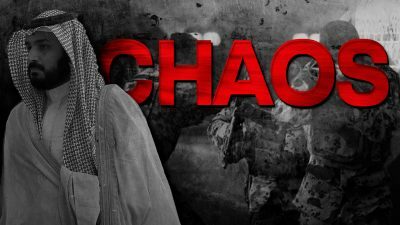 A leaked diplomatic cable confirmed that the Saudis and Israelis are coordinating their efforts against Iran and Hezbollah thus escalating the already tense situation in the Middle East. The region may be heading for another large-scale military conflict.